While the Mexican also huai will transfer most of the troops to general wei, eight lords and Mo LianCheng All the way into the palace with soldiers, all the way to save the queen mother and Jing Xin Wait a person, attack royal study control directly all the way Mo YiHuai . , on the other side flow QianShui and little tan is waiting anxiously for the results, the flow QianShui asked whether small tan song remember XuanLing continent and the emperor, song small wingceltis upset minded never mind and he chat, at this moment, a severely wounded soldiers suddenly appeared, he was threatening to wei general to his tidings, siege plan to fail, eight report an ambush could be dead or alive, curved small tan QianShui to save a listen to immediately appealed to flow, flow QianShui impending nuptials, which had to be agreed by her, however, flow QianShui just left, curved small tan is Mo YiHuai men away. < / p > < p > eight wang ye and Mo LianCheng and his party came to the royal study, but found that there was no guard here, two people immediately realized that he was trapped, Mo LianCheng really want to let Yu Hao < / p > < p > inform general wei to retreat as soon as possible, Mo YiHuai has led a large number of troops to surround them, and in order to prevent the eight lords to escape, he sent people out of the trap was caught small sandalwood. < / p > < p > sure enough, the eight lords and Mo LianCheng saw sandalwood finally panic, qu xiaotan cried and apologized that he had been cheated, Mo YiHuai completely shattered the plan of Mo LianCheng and the eight lords, in order to further attack the two lords, he proposed to learn martial arts with the eight lords, as long as he won, he would hand it all over. Eight report had to battle, and soon, two people outside the royal study on empty lots that were out of the fighting, light with martial arts, eight report this prevail, kingdom Mo YiHuai suddenly lost a long sword, use up on the secret society of witchcraft, see eight report will be supportive of Mo LianCheng suddenly rushed out to block the blow, he may be the fate is linked together, eight report also as if by pounding, at this point, the flow QianShui suddenly appeared away Mo LianCheng, Yu Hao also the chance to take eight sovereign flee the scene. < / p > < p > the plan failed, eight wang ye a line retreated to the hidden star pavilion, that is the place where the emperor's grandfather, mo yifeng, once cultivated. Mo LianCheng, who was already weak, was hit hard and, looking at his injuries, sighed that he could not do anything about it.The eight lords proposed to give Mo LianCheng his yuanshen degree as before, and the helpless way of flowing thousands of waters was to draw the straw from the straw and could not be commonly used. Now the eight lords are also seriously injured. If they force the yuanshen degree, not only Mo LianCheng cannot be saved, but also the eight lords may be in difficulty. Mo LianCheng gradually woke up during the conversation. He knew he was at the end of his rope and had to entrust tan 'er to the eight princes. Then he closed his eyes completely. The eight lords looked at Mo LianCheng's strange and familiar face and could not tell what he felt. The past came to his mind bit by bit. Maybe he would never meet a person who knew him so well again in his life. When the stream of water saw this scene, he hurriedly took out a bamboo tube from his sleeve and bit his finger to release the magic spell to seal the spirit of Mo LianCheng. And right now, the qu xiaodao that is trapped in palace feels suddenly in the heart sudden pain, as if lost what important thing. When Mo LianCheng disappeared, the eight princes just sat around his bed all night. I could not bear to see him like this, so I advised him not to be too sad, because Mo LianCheng knew that this day would come. He gave the seal of heaven and earth to the eight lords as a memorial, and reminded them to be able to qu xiaodao as soon as possible. Now Mo YiHuai is forced to practice zhenghuzhu. Sooner or later, he will lose his temper and become a demon. The eight princes could not help sighing that Mo LianCheng had always advised him not to fight with Mo YiHuai, but now, I'm afraid there is no turning back. Mo YiHuai did not succeed in leaving the eight princes and Mo LianCheng, and was very unwilling. He asked how was little sandalwood in jingkang, Mo told him that little sandalwood had been crying, so he had to send Jing Xin to accompany her. The eight lords felt his pulse, which showed that he had been seriously injured by zhenghuzhu and yuanshen. Even if he had continued his life with his strength, he might not have been able to return to heaven. If Mo LianCheng was still there, he might have been saved by his prince's medical skills. Mo LianCheng was not worried about his life when he heard the news, but about failing to live up to his instructions. 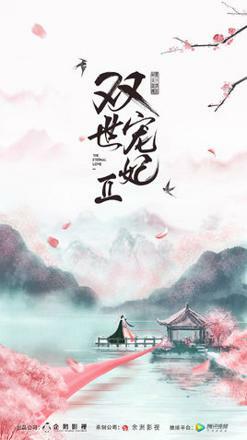 < / p > < p > this day, qu xiaodao pretended to faint, Jing Xin shouted for help to the guards, while it was unprepared to take his sword, with his own life threatening soldiers let themselves out. At this moment, Mo YiHuai came over and advised qu xiaotan not to play tricks to escape, because he would never let her leave him again, otherwise he would be rude to Jing Xin and xiv. Qu xiaotan had to compromise, ironically said that he would be really happy if he trapped himself. Mo YiHuai also wanted to persuade little sandalwood to change his mind. Little sandalwood could not bear to push him away directly any longer and told him that he was not the little sandalwood he loved so much, but the little sandalwood from another world. Mo before YiHuai associated with a variety of, have never thought his patricide take a return but still with a sieve, he grip the throat of curved small wingceltis of petulance, persistently questioned her tan son's whereabouts, small wingceltis have to be really don't know that song, see the little tan was pinched piece of breath, Mo YiHuai suddenly released her again, he wouldn't hurt to tan son body, however, tan son have to stay at his side.